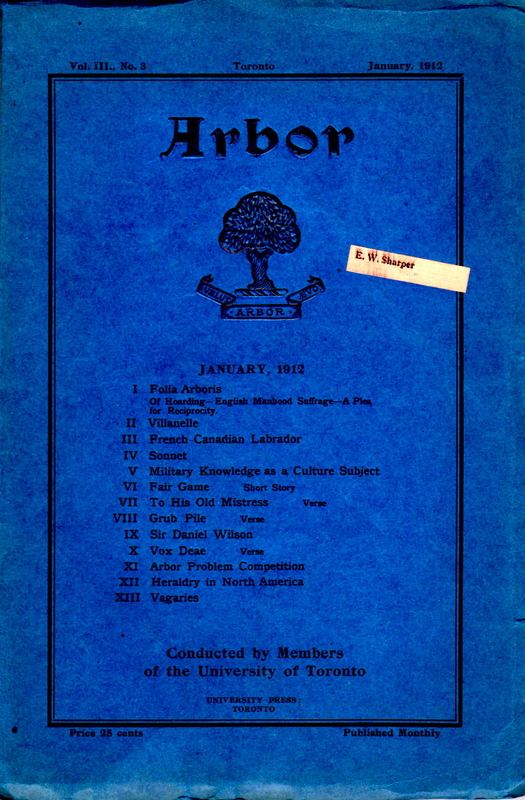 In a previous post about Peregrine Acland’s time at the University of Toronto, I mentioned that he was part of a group of undergraduates who published a small literary magazine called Arbor. Volume 1, Number 1 was issued in February of 1910, and according to the UofT library website, it ceased publication “sometime between April of 1913 and October of 1918.” They appear to have only the first issue in their collection. Acland was the “associate editor” of Arbor from 1911-12, according to his write up in Torontoensis, the UofT yearbook. I picked up this copy of the January, 1912 edition for $25.oo from Purpora Books in Comox, B.C., who have a knack for unearthing the obscure. And the cook’s shrill call to the feast. And would you snore on till your dinner? For round-up’s no place for the sleep of the dead. To boys who’ve heard only Grub Pile! 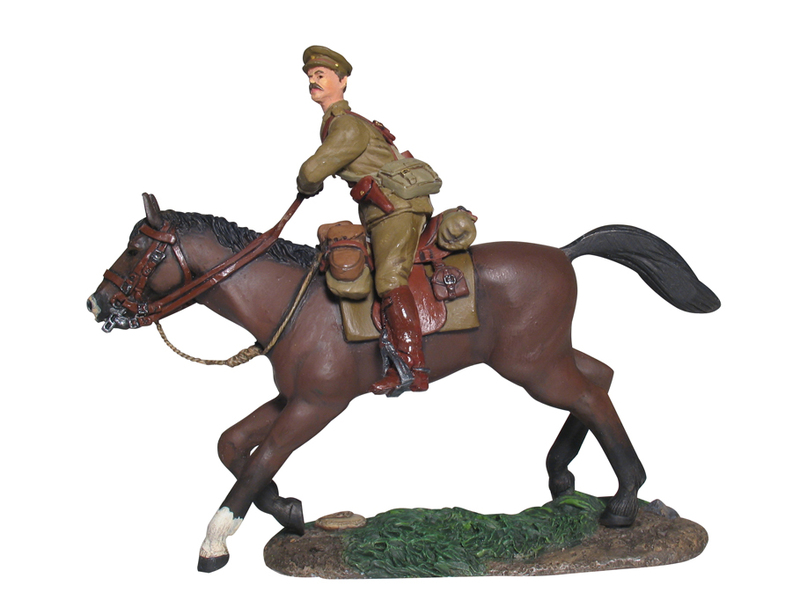 The horses are caught and we’re moving the camp. From Arbor. January 1912. Vol III, No. 3. Pages 148-149. I’m not sure if “A. Dinner Service” suggests a continuation of the cowboy theme in a subsequent issue, or whether it’s a nom de plume (does the French of this phrase give him shivers too, I wonder?). The long line of dots in the final line is not the original; that is my addition, simply because the formatting of WordPress will not allow me (so far as I know) to get the last bit aligned as it should be. Apologies. As to some technical notes: the issue of Arbor is about 50 pages, and measures 6½ x 9¾ inches. This entry was posted in Uncategorized and tagged Cowboys, Peregrine Acland, University of Toronto. Bookmark the permalink.